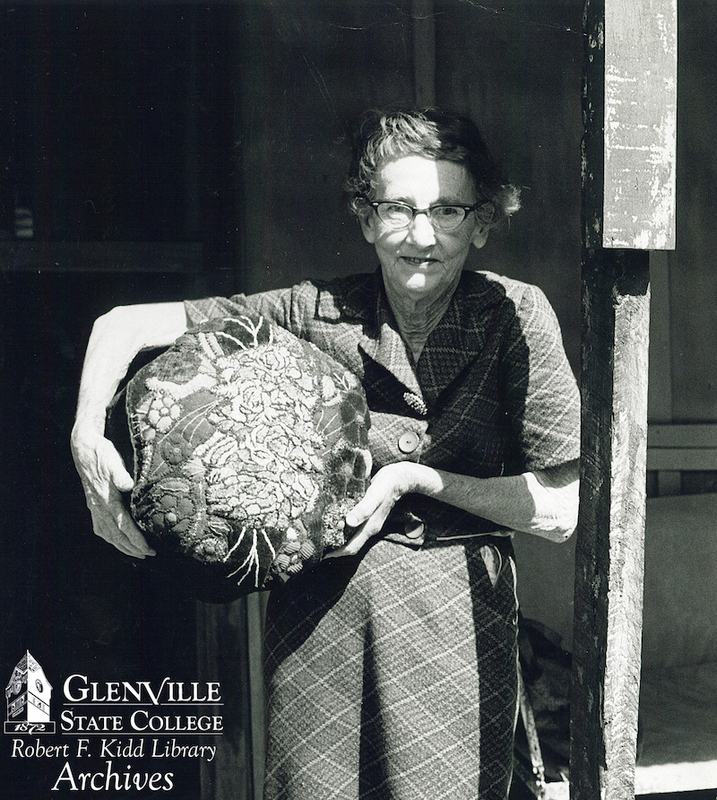 Blanche McDonald lived a long life within the hollows of Gilmer County, WV. She died December 29, 1976 having been born the third daughter of John and Minnie E. (Furr) McDonald on September 7, 1895. With her oldest sister, Otha, the two lived in their maternal family home three miles from Letter Gap, raising and putting up the meat and produce necessary to live while making quilts, rugs and footstools with needle, thread and recycled clothing. She and Otha are said to have used the traditional crafts taught by their Scottish mother of layering, stuffing, and embellishing with yarns and threads common fabrics creating floral designs in balanced compositions. (See the gallery of rugs) The materials used, to a critic of handwork, would discredit the quality yet their skill in using the elements of design and consistent style brought juried awards as their work was promoted farther than the central West Virginia market. 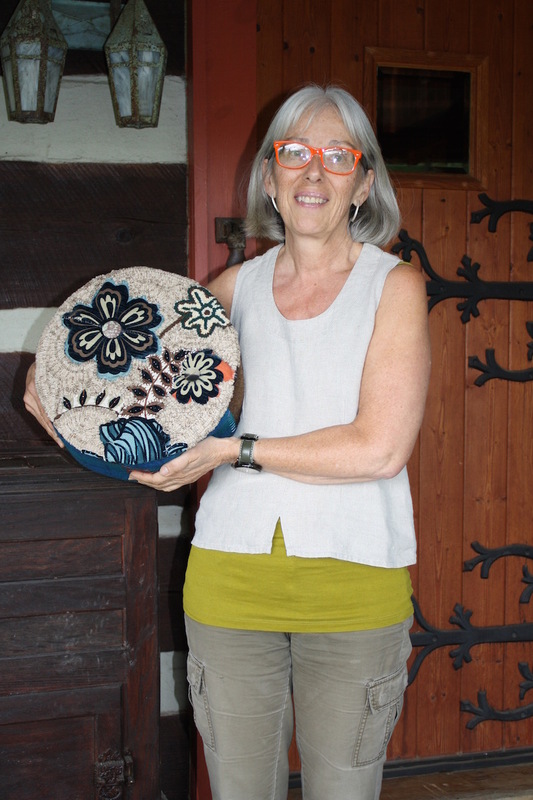 Recipients of a purchase award for a 3 x 5 tapestry selected by Juror of Crafts, Paul Smith, director of the Museum of Contemporary Crafts, NYC for the Appalachian Corridors Exhibition in 1968, the piece is archived in the State Museum, Charleston. 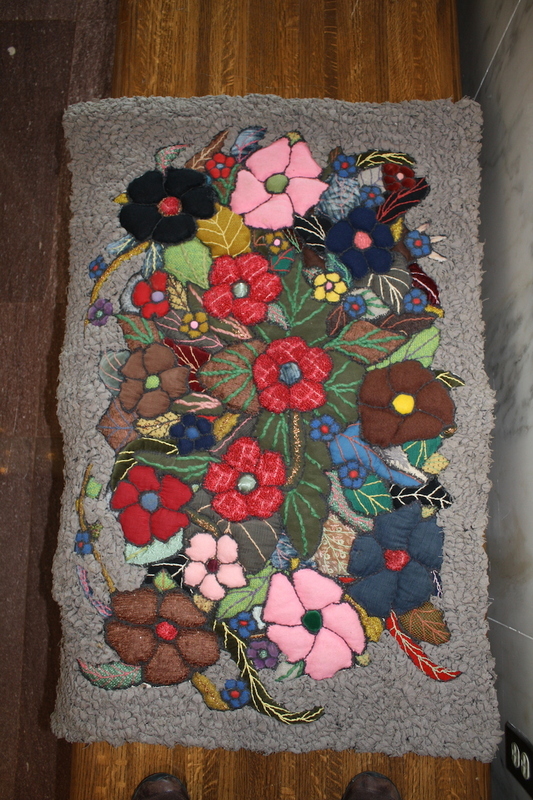 A second larger rug was purchased by the Div of History and Culture in 1970 and hangs in public display in the museum. 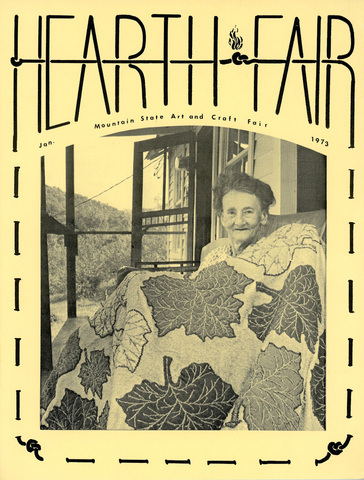 Blanche graced the cover of the first issue of ‘Hearth and Fair’ which evolved into Goldenseal Magazine. The quilt with giant appliquéd sycamore leaves was included at the Pasadena Art Museum in 1972 in the exhibit ‘Islands in the Land’ curated by Eudora M. Moore. The sisters exhibited at the annual Arts and Crafts Festival of West Virginia in Glenville selling footstools made with several cans as the insert and topped by fabric arranged in a medley of flowers. I channel them as I work with scraps, needle and threads, identifying more closely to Blanche with her spunky look over the stern Otha. Hope you too will visit with the “girls” on the pages under McDonalds on this website and at the State Museum in the Culture Center, Charleston, WV. This entry was posted in elements and design in art, Fiber Musings, hooked rugs, textile art, West Virginia Artists and tagged Blanche McDonald, fiber artists, fine craft, hooked rugs, Susan L. Feller, WV Culture and History on December 28, 2017 by Susan L. Feller.